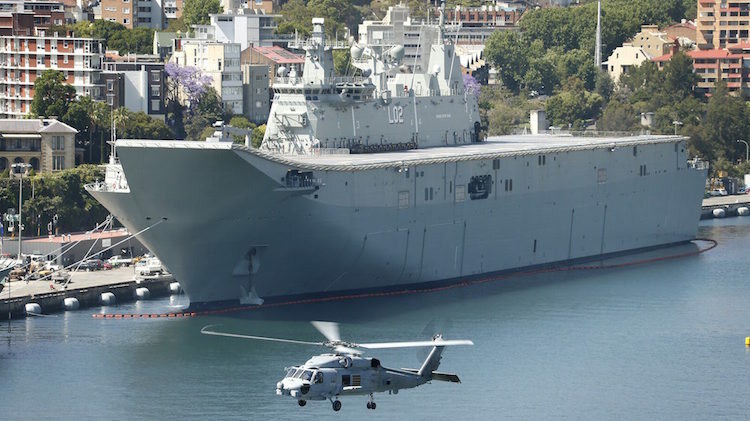 The first RAN MH-60R ‘Romeo’ Seahawk to fly in Australia flew over the now HMAS Canberra last month. 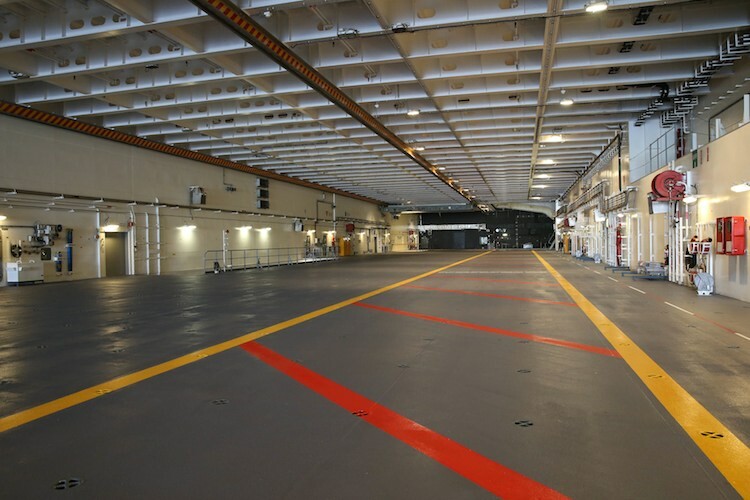 Australia’s amphibious warfare capabilities have taken a 27,000 tonne step forward with the commissioning of HMAS Canberra, the first of two LHD amphibious ships being built for the Royal Australian Navy. 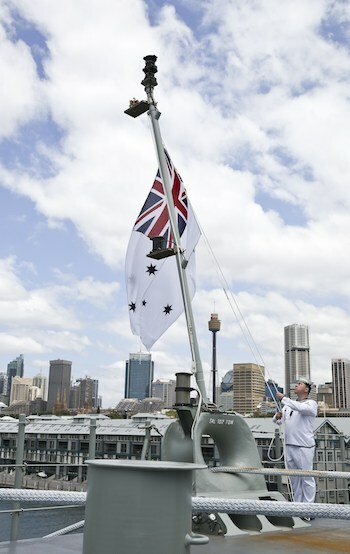 The Canberra was formally commissioned into RAN service in ceremony at the Navy’s Fleet Base East in Sydney on Friday attended by Governor General Peter Cosgrove, Prime Minister Tony Abbott, Defence Minister Senator David Johnston, Chief of Defence Force Air Chief Marshal Mark Binskin and Chief of Navy Vice Admiral Tim Barrett. 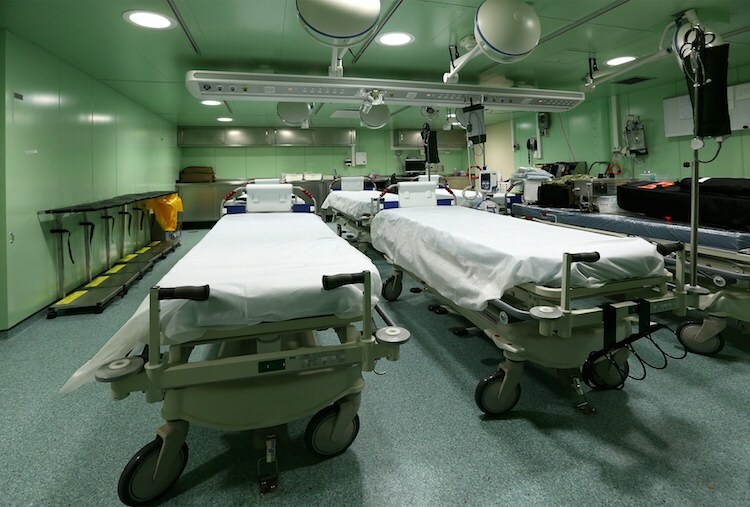 “Through the efforts of many organisations, this outstanding ship is now a reality,” HMAS Canberra’s commanding officer, Captain Jonathan Sadleir, said. Sadleir commands a ship’s company of 400 personnel from all three services. “It was a proud and emotional experience for me to stand with 400 exceptional members of my crew today,” he said. HMAS Canberra and sistership NUSHIP Adelaide – due to commission in 2016 – are designed to carry 1,000 troops and equipment which can be landed ashore by landing craft or helicopter. Both LHDs have deck space for six MRH 90 or Black Hawk medium helicopters, but can also support the heavylift CH-47 Chinook and the Tiger Armed Reconnaissance Helicopter. 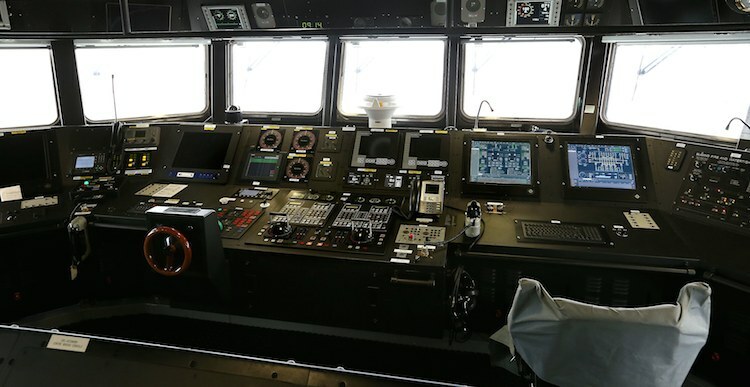 “This LHD is a true multi-purpose warship ideally configured to carry out humanitarian assistance or transport an embarked force complete with their equipment and aviation assets for a peacekeeping mission,” Minister Johnston said. The two ships are based on the Spanish ‘Buque de Proyección Estratégica’ (Strategic Projection Ship) design. Their hulls were built by Navantia in Ferrol, Spain, while their superstructures were built by and final outfitting undertaken at BAE Systems Australia’s Williamstown, Melbourne shipyard. Pity we don’t have any fast jets to make use if that ramp. Seems like a waste. Of course F-35B’s would be hideously expensive to support for such a small fleet of jets. Now that’s what I call a nice big target. Calling the mess a cafe?? Definitely an awesome asset to have and a proud day for the RAN. Well done to all those who made it happen and all the best to those who will serve under her white ensign. SeeSure, the sailors’ main eating area has been called the ‘cafe’ for over 50 years now. The ‘mess’ is usually where the sailors live, ie. their sleeping and recreation spaces. The LHDs are nice big targets, but are normally protected by a air-warfare destroyer screen. Wait a minute, the ‘Canberra’ is already at sea, but not quite the AWDs!!! One must be converted to take VTOL aircraft. They could support at least 12 in operational capacity and an even larger force for training and rotation. Would give Australia a real stick in the region as no other nations in the Asia Pacific have a credible air arm capacity at sea. Should I mention Sub’s ? Absolutely a big ship. She dwarfs everything at fleet base east. Watched a MRH-90 Taipan being towed along the flight deck today. Pretty awesome sight. Maybe it’s just me but she doesn’t seem to have enough self protection…those four guns don’t seem enough…couldn’t she have her own anti-aircraft and anti-missile missile launchers, at least?